“Hops are a wicked and pernicious weed,” once said King Henry VIII. Of course, 15th century England was at odds over traditional (un-hopped) “ale” and new (hopped) “beer” during King Henry’s reign. Fast-forward 450 years and India Pale Ale is the #1 craft beer style, totaling $342M. This tremendous demand has surged US hop acreage up 18.5% in 2016, totaling an unprecedented 53K acres. Today, hops are a wealthy and perdurable weed, in fact. My fondness for hop-forward beer began in 2011, during my final semester at college. I grew to love anything and everything hoppy – the more hops, the better! Not only did I exclusively drink hop-forward commercial beers, I constantly homebrewed them as well. And what’s better than brewing beer with lots of hops? Brewing beer with lots of homegrown hops! Spring 2012 marked the inception of my hop garden. That March, I prepared a small plot of land, built a hop trellis, and planted six hop rhizomes; Cascade (x2), Centennial, Chinook, Columbus, and Hallertau. Despite requiring several years to fully mature, my tenacious hop bines grew like weeds in their first year – 20 foot tall weeds! The aggressive growth left me wondering exactly what to do with my homegrown hop harvest. 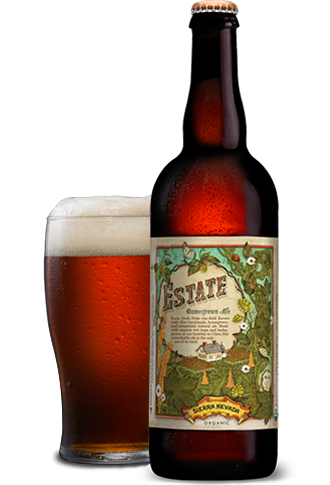 Later that year, I had the opportunity to taste Sierra Nevada’s Estate Ale, a beer brewed with organic wet hops and barley grown at the brewery in Chico, California. This earthy, citrusy, and herbal beer was unlike any IPA I had ever had – a truly life-changing experience. Estate Ale inspired me to use all of my homegrown hops in an annual wet hop beer of my own, dubbed Wet Hop Harvest IPA. From 2012 – 2015, I used approximately 6.5 lbs (0.65 lb/gal) of wet hops in a malty, East Coast (not New England) IPA recipe. These green, fresh-picked, undried hops yielded off-the-chart hop aroma and oils year after year, which is something that commercial hop pellets just can’t capture. 2016, however, marks the first year of drying the homegrown hops. Instead of brewing one 10-gallon batch of Wet Hop Harvest IPA, I plan to use them throughout the year for my farmhouse beers. Homegrown hops will bring me one step closer to using 100% New England-sourced ingredients for my beers – joining foraged yeast and estate well water. The last remaining ingredient is malt, but I’ll cover that in a future post! This year I harvested 12 lb 2 oz of homegrown Cascade, Centennial, Chinook, and Columbus hops. After drying, I vacuum sealed 3 lb 8 oz into mason jars and stashed them away in a freezer. Additionally, 8 oz were stuffed into a hop bag and stored in my dry, hot attic for aging and oxidizing to become lambic hops. 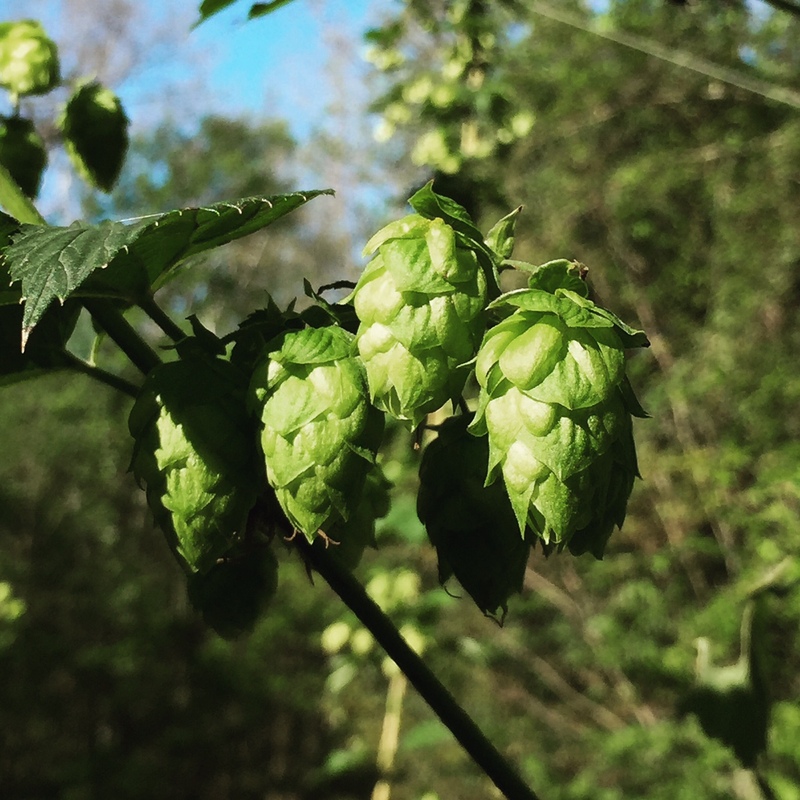 Do you grow your own hops at home? Share any tips below!